Arai Helmets has added a new graphic design called the â€œOsborneâ€ to its VX-Pro3 dirt helmet line for 2009. 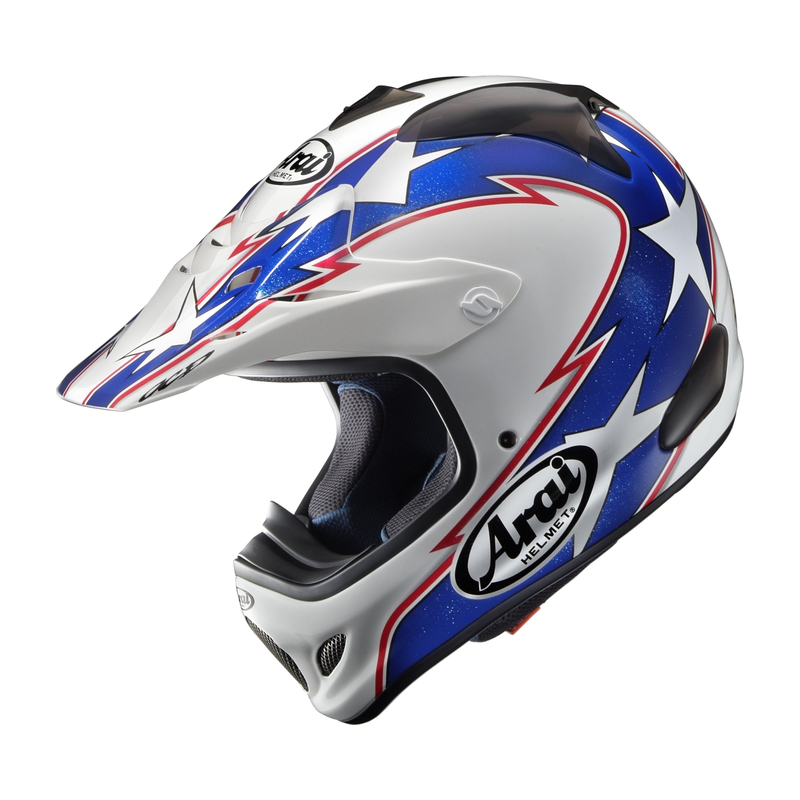 The American-themed red-white-blue design is the first of Araiâ€™s new â€™09 mid-year graphic releases. Although now copied, the Pro3 introduced yet another Arai innovation: the Emergency-Release Cheek Pad system created to allow easier access to an injured rider. The Pro3â€™s cheek pads slide out easily with the use of integrated, easily-accessible pull-tabs, which makes removing the helmet much easier for trained medical technicians. Such concepts have always been one of Araiâ€™s â€œgreatest sources of pride,â€ according to a spokesman. 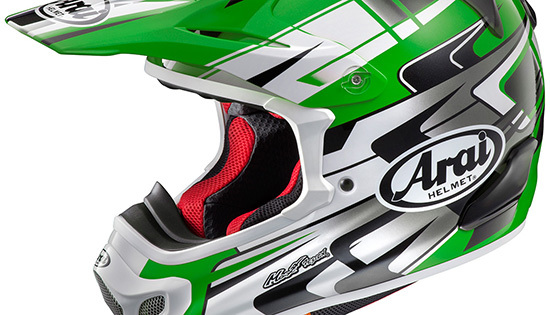 â€œFor generations, Arai has fostered helmet improvements that aid in our primary mission of first protecting the rider. Weâ€™ve never been a company that favors â€˜flash and fashionâ€™ over function, which is why Arai designs tend to be more evolutionary than revolutionary.â€ Another example of this Arai philosophy evident in the Pro3 is its unique rounded chinbar shape with less forward protrusion. The design intent of Araiâ€™s rounded shape is that itâ€™s less likely to catch and snag a crashing rider than longer, more pointed chinbars. Araiâ€™s VX-PRO3 comes in sizes XS to XXL, at suggested retails from $529.95 for solids, and $659.95 for Replicas like the new Osborne. 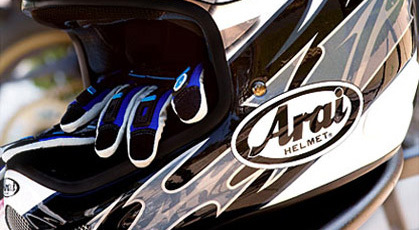 Full details and information, plus the name and location your nearest authorized stocking Arai dealer can be obtained at www.araiamericas.com.